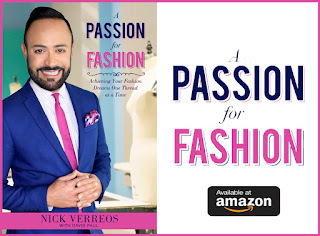 Posted by Nick Verreos Labels: 2012 Grammy Awards, 2012 Grammy Awards Red Carpet, Atelier Versace, Nicki Minaj 2012 Grammys Red Carpet, Nicki Minaj in Custom Atelier Versace, Who Wore What? 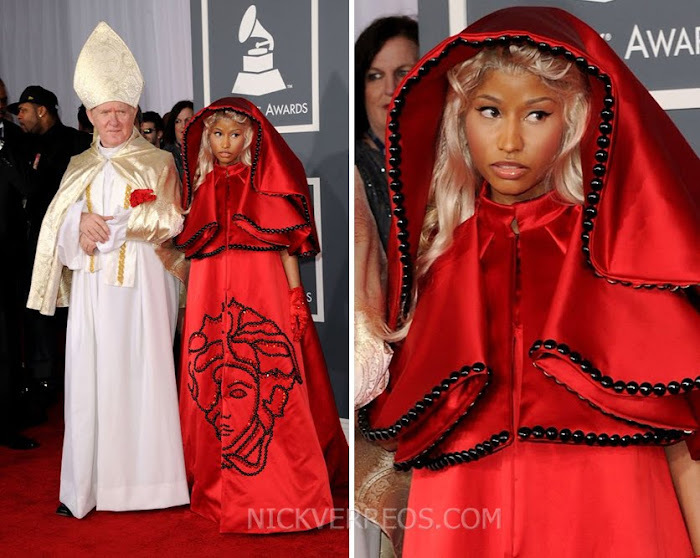 Nicki Minaj (and a Bishop/Pope Impersonator) in Custom Atelier Versace: Well, well, well, the "Lady Gaga Entrance In An Egg" Award for 2012 goes to....Miss Nicki Minaj!!! She donned a carmine red silk satin hooded coat with the Versace "Sun God" insignia in hand-beaded Swarovski crystals right in the center front. It's Little Red Riding Hood COUTURE darlings!!! Not sure what the Bishop/Pope next to her is supposed to mean...but maybe she just couldn't find a date so she went to the nearest Catholic Church and a Bishop was available...for the night? I do feel like this will be part of a performance and there is something much more under that coat. Leave it to Miss Nicki, is all I have to say. I'll leave this one up to YOU GUYS!! Please Fill In The Blank: Nicki Minaj is going to ________. 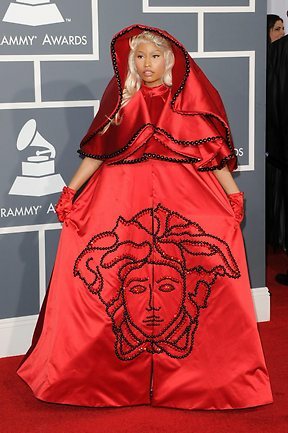 2 Responses to "WHO WORE WHAT?.....2012 Grammy Awards: Nicki Minaj in Custom Atelier Versace"
Pull a Kanye moment and go up on stage saying how she should have won some award!